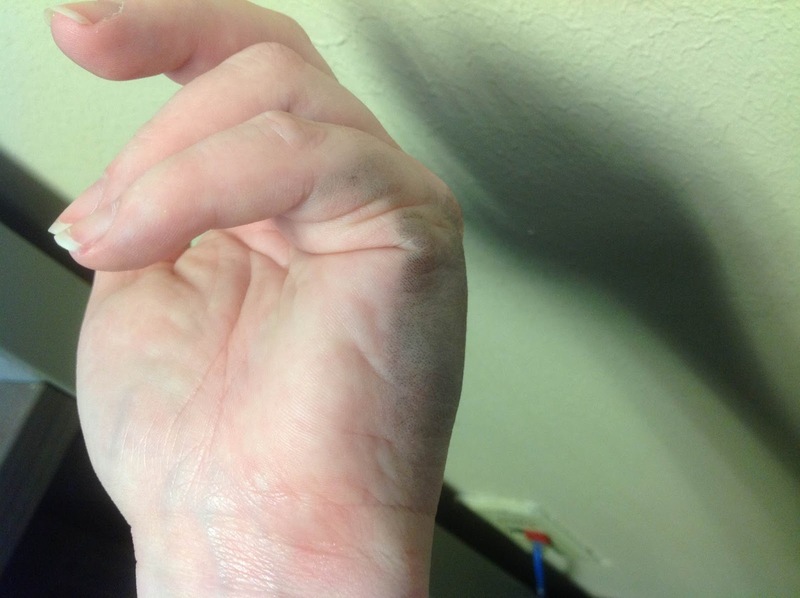 No, I'm Not Talking to Myself: Happy Left-Handers Day! Now listen to me rant a little. Happy Left-Handers Day! Now listen to me rant a little. Scissors. 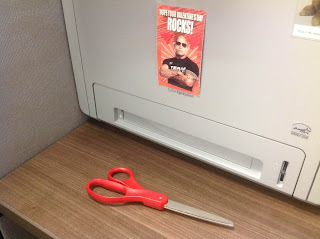 I am so grateful that today’s scissors are ambidextrous-friendly. I remember being in art class in elementary school when we still used clunky metal scissors. There always seemed to be 3 or 4 lefties and only one pair of lefty scissors. Things tended to get ugly. I still have handmade-Valentine-related PTSD. As an adult, when I see a pair of scissors labeled “cuts left or right”, I have to stop myself from buying them. I don’t always succeed though…I have 6 pairs of scissors at home. The Rock and I cutting up. Pencil sharpeners. In first grade we had a desk-mounted, hand-crank pencil sharpener. Righties would put the pencil in with their left hand and turn the crank with the right. But little 1st-grade me wasn’t strong or coordinated enough to turn the crank with my right hand. I had to go to the other side of the desk, lean across the desk, put the pencil in with my right hand and turn the crank backwards with my right. It’s good I was only 6, or it would have looked like I was intentionally bending over the desk to show off my girly parts. Mice. (The computer kind. Not the rodent kind.) They are always defaulted to righty. Even if you change the computer’s settings to make your mouse lefty-friendly, there are issues. One – that some mice are specifically shaped to fit a right hand, and your office supply clerk will not see getting you a lefty-friendly mouse as a "legitimate business expense." Two - that while the computer is booting up, the mouse will only work righty. You have to get booted up and logged in before the mouse works lefty. It’s just rude. Decorative mugs. Have a coffee mug with your fraternity logo or that cute picture of your kids? If you’re a righty, you likely see your smiling offspring every time you take a sip. If you’re a lefty, you see the blank boring side of the mug. I’m thinking of buying a Ke$ha coffee mug that I can use to mess with my co-worker Mary. Mary ABSOLUTELY hates Ke$ha and since I would use my left hand to lift said mug, she would be the one who had to see the glitter-coated pop star. Can openers. Seriously annoying. I’ve decided to stop cooking altogether to avoid this problem. Trigger-style ice cream scoops. I just can’t use them. I have to scoop with my left hand, but that puts the trigger at my pinky. My pinky is not strong enough to squeeze the trigger. And it’s ridiculous to switch hands just to squeeze the trigger. The solution: just eat the ice cream directly from the carton. Spiral notebooks and 3-ring binders. By the time I get my fist far enough to the left that my fist is not laying on the spiral or rings, I’m writing on the middle of the paper. And finally, inky/pencil lead hand. Messy, messy, messy. But, despite all the things that we lefties have to overcome, we still manage to be awesome. Or at least, I still manage to be awesome. And exceptionally modest and humble.